Getting to the bench in any capacity isn't easy, but being named a Supreme Court Judge for the United States of America is especially difficult. You have to have a (nearly) flawless record, an impeccable, fairly high profile career, and catch the eye of none other than the sitting President of the United States. No problem, right? It's only like running an obstacle course that you have about 0.01 chance of finishing alive. But once you don that regal black robe of the highest court in the land, you're golden. Why? Because for the past 154 years, the Supreme Court has had a practice in place where all retirees from the federal bench draw their full salary at the time of retirement for the rest of their life. It is one of the few gigs that has the perk of lifetime pay. Not even the President gets to draw his (or someday her) full salary when they leave office. The lifetime pay thing is part of the Judiciary Act of 1869. The idea is that judges who had reached the age of 70 with 10 years on the federal bench would not feel like they had to keep working if they weren't feeling up to the job. That's the government's way of saying you're old and your mind might not be as sharp as it used to be, so go play golf for the next 20 years, please, and by the way, you will still get paid handsomely. These days, 65-year old judges who have 15 years on the federal bench can also retire with full salary. But lest you think that retired judges are spending their golden years at Sandals Resorts in the Caribbean, there are certain expectations for continuing to draw a six-figure salary until you're pushing up daisies. The retired Supreme Court Justices are expected to do about three months of an active judge's work each year. As you can see from the figures below, a number of our Supreme Court Justices are WELL over retirement age currently. Still it's a pretty sweet gig, don't you think? With the exceptions of larger raises that seem to happen from time to time, these salaries get a reliable bump of between two and three thousand dollars every year. For decades, the California Coastal Act has declared that access to California's beaches is a fundamental right guaranteed to everyone. Billionaire Vinod Khosla wants to change that and he's taking his case to the U.S. Supreme Court. How Rich Are The Supreme Court Justices? 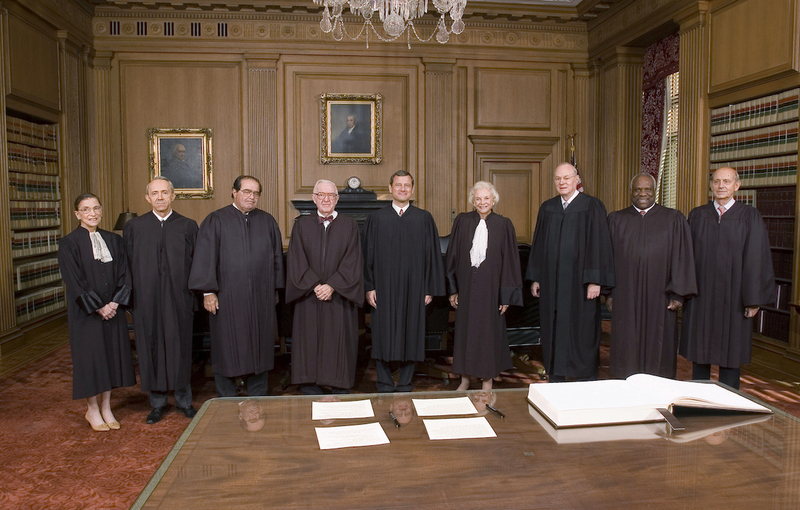 What are the salaries and net worths of each of the United States Supreme Court Justices?